I had the pleasure of participating in two giveaways today. I brought my almost-10-year-old neighbor, Celie, to Park Road Books so she could meet Lisa Kline and see Lisa's new books, Sisters in All Seasons. Lisa called on Celie to pick a name out of the bowl to receive a copy of Summer of the Wolves. No one was more surprised than Celie when she drew her own name! 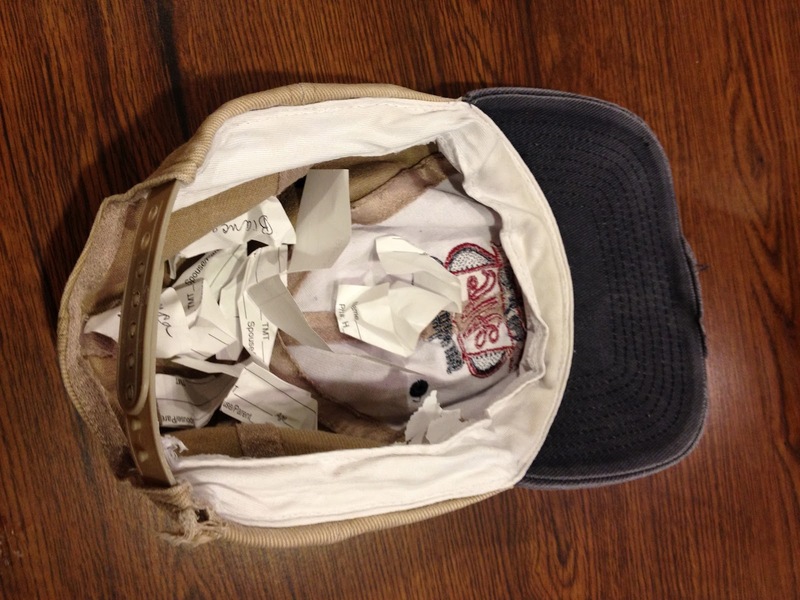 After signing Celie's book, Lisa drew a name for this giveaway. 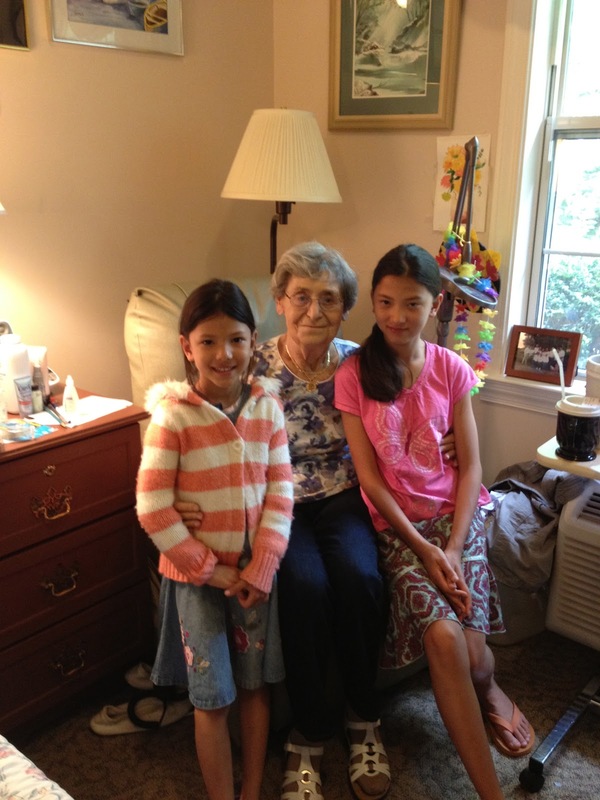 Donna Earnhardt- you (and your daughters) are the fortunate winners of Wild Horse Spring. We joked that we could hear you shout "YIPEE!" all the way from Concord! Thanks to everyone who participated the last two weeks. Don't give up though. When the third book in the Sisters in All Seasons comes out this fall, Lisa and I will be giving away a copy of Blue Autumn Cruise. As promised on last week's blog, Lisa Kline is giving away her second book in the Sisters in All Seasons series. After she shares her process of writing the series you'll find directions how to win a personally autographed copy of Wild Horse Spring. Carol: How did you get the idea for four different locations and four different animals? 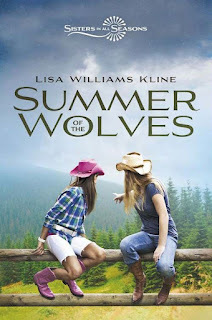 Lisa: Zondervan bought my novel Summer of the Wolves and asked me to write three more novels with the same characters. Since the novel takes place when the family takes a vacation, I thought, what if all four novels take place during vacations? And I started toying with ideas about places I’d been, places I had memories I could use for the books. And one of the characters, Diana, has a tremendous affinity for animals, and so I thought, what if some type of animal is featured in each book? My husband is a veterinarian, so I knew I could pick his brain! And then I thought, what if each vacation takes place in a different season of the year? And from there my editor and I brainstormed the Sisters in All Seasons title. Carol: Can you describe the interaction with Zondervan about creating the series? Lisa: I wrote up my ideas, sent them to my agent, and we had a couple of interactions before I was ready to send the series synopsis to Zondervan. Caryn Wiseman, my agent, was tremendously helpful. Carol: What are your thoughts on writing a series? Would you recommend it to other writers? Lisa: This has been a wonderful experience. To be with your characters for an extended time like this has been such a gift. There is time to get to know them layer by layer, so much more deeply. I am also getting to know them over time as well. When the first book takes place, Stephanie and Diana have just completed 7th grade. By the 4th book, they are starting high school. I will admit that I was intimidated at first by having to develop and write three novels in a year and a half. I wasn’t sure I could do it. I did have to be disciplined. I kept myself to a schedule of about two to three pages a day, a minimum of ten pages a week. Carol: I love how your characters grew up as you wrote the series and you got to know them better with each book. Can you give us a sneak peak into the third and fourth books? Lisa: Sure! In the third book, Blue Autumn Cruise (due out in October, 2012) they go on a cruise for Stephanie’s grandmother’s 75th birthday. This venue gave me a chance to introduce members of the girls’ extended family. It was tricky to get an animal on a cruise ship, though – and I won’t give that part away! The fourth book, Winter's Tide, (release February 15, 2013) takes place in one of my most favorite places in the world – near Beaufort, North Carolina, close to where my grandmother grew up. I just visited the Duke Marine Lab there for research. Carol: Every writer always thinks into the future. So, what’s next for you? Do you plan to stay in the inspirational market or write another series? Lisa: I don’t know what is next. I was working on another novel when this one sold, and I might get back to work on that. But working on a series has been great fun and I would absolutely love to do it again. I feel tremendously blessed to have had the opportunity. Thank you so much, Lisa for sharing your experiences with my readers. Now, here are directions for winning a copy of Wild Horse Spring. Lisa will also be autographing books this Saturday, June 30, at Park Road Books. She'll find time to pick this giveaway winner! Contest closes at noon on Saturday--so start tweeting, following, and Facebooking now! 3. Leave me a comment with your email address indicating which you did. 4. If you do more than one thing (follow and post to a social network site, or post on two different sites) I'll enter your name TWICE!! 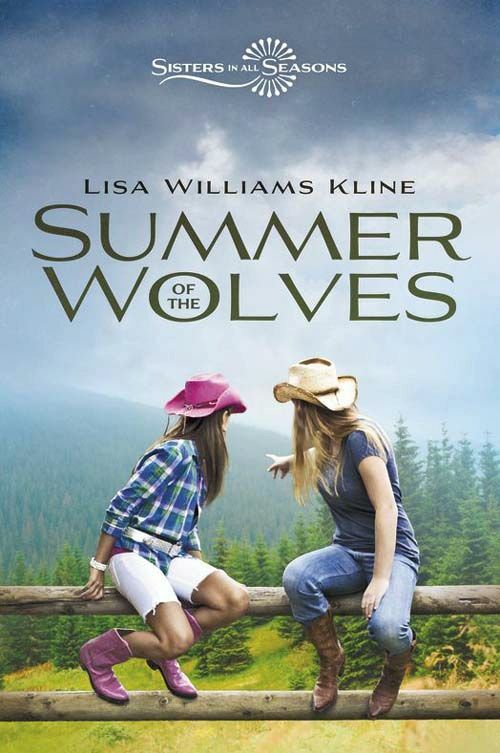 I thought my mother would enjoy deciding who would win Lisa Kline's book, Summer of the Wolves. And believe it or not, out of the 9 entries I had, Esther and her children, Sophia and Grace, are the only people my mother has met! Honestly, this wasn't rigged--she picked totally at random--although I have to believe, the Lord directed this one for sure! But, for those of you who didn't win, take heart. On next week's blog you'll find out more about Lisa's Sisters in All Seasons and we'll be giving away a copy of Wild Horse Spring. And remember. You can meet Lisa Kline in person at Park Road Books in Charlotte, next Saturday June 30 from 2-4 PM. Hope to see you there! In this post my friend and fellow North Carolina author, Lisa Kline, answers questions about her first two books in her four-book series, Sisters in All Seasons. Although Lisa has published three other middle grade books, these are her first in the inspirational market as well as her first foray into writing a series. Carol: What was your inspiration for writing Summer of the Wolves? Lisa: On a trip with a friend to a ranch in western North Carolina, I became fascinated with some hybrid wolf dogs, especially one wolf that was terrified of people. I also saw a family with two daughters, one of whom seemed as shy and miserable as the wolf. My heart went out to her. I decided to make up a story combining the wolves and the family. Carol: What an interesting premise! What stands out for you as being the most challenging and/or rewarding part of writing inspirational material for kids? Lisa: When I wrote Summer of the Wolves, I wasn’t trying to be didactic or inspirational. I was just trying to tell a story that interested me. What engages me most as a writer is a character’s inner conflict; that is, what is the right thing to do in this situation? And do I have the courage to do it? Writing about characters’ inner conflicts gives me a chance to explore some of my own questions about how we should live our lives. I think that many writers write, not because they have the answers to life’s big questions, but because they struggle with them. And maybe readers identify because they struggle too. Carol: I can totally relate to that, Lisa. Sometimes I feel as if writing Half-Truths has raised many life questions for me. How did you use this increased self-awareness in your book? Lisa: I grew to love my characters and wanted them to find love, either from parents, friends, spouses, or God. I believe that God loves us and that love is the most powerful force in our world. One of the questions I often ask myself is, how can we learn to live together on this earth and love each other? Carol: Did you have a goal in mind as you wrote? Lisa: If my writing inspires or uplifts others, I’m very happy to learn that. But I don’t set out to be inspiring or didactic. I just try to tell an engaging story, and explore some of my own questions in the process. Sisters in All Seasons, is about Stephanie and Diana, who become stepsisters when Diana’s mother marries Stephanie’s father. The girls possess very different forms of courage, and don’t respect or empathize with each other at first. The series is the story of their journey to learn to trust and love one another. Each book features a different vacation location in North Carolina and a different animal. The first two books, Summer of the Wolves and Wild Horse Spring, which were just released by Zonderkidz, are recommended for ages 8-12. If you live in the Charlotte area, please join Lisa at her book launch on June 30 from 2-4 at Charlotte’s favorite independent bookstore, Park Road Books. Meanwhile, you could be the first one of your friends to own an autographed copy of this book! Leave me a comment with a promise to tweet, Facebook, or use the social media of your choice to share this giveaway and I will enter your name. If I don't have your email address, make sure you leave your name and address so I can contact you if you win. But hurry! I'll pick a winner on the evening of June 23! If you don’t win, you’ll get another chance to win one of Lisa's books. Next week Lisa will share more about the places she visited while writing these books, as well as her thoughts about writing a series. I’ll be giving away a copy of her second book, Wild Horse Spring. Where Does Your Character Belong? My sister, Barbara Federlin, has the distinction of being the only person to read the entire rough draft of my manuscript. As a result, she understands what I'm trying to do and her input is invaluable as I move forward. we look like we belong together! She is also a re-evaluation counselor and has thought a lot about what motivates people's behavior, how past hurts effect present choices, and what hinders growth and personal relationships. 1. Where do you belong? 2. Why do you belong in this group? 3. How do you feel about belonging to this group? 4. Who do you trust to talk to about your feelings? 5. How do your feelings and thoughts effect your interactions with other people? 6. What actions will you take as a result of these feelings, thoughts or beliefs? and then for your character. You may learn a lot about your characters--and yourself. An excellent online resource for probing your character's psyche is The Character Therapist. Browse through the case notes on the right hand side of Jeannie Campbell's blog and you'll find that she has tackled many psychological issues that your character may face. Here are two blogs which I found particularly helpful: Character Flaws and Locus of Control. Joining the Military. 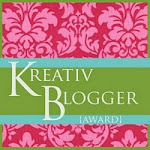 Congratulations, Karla! 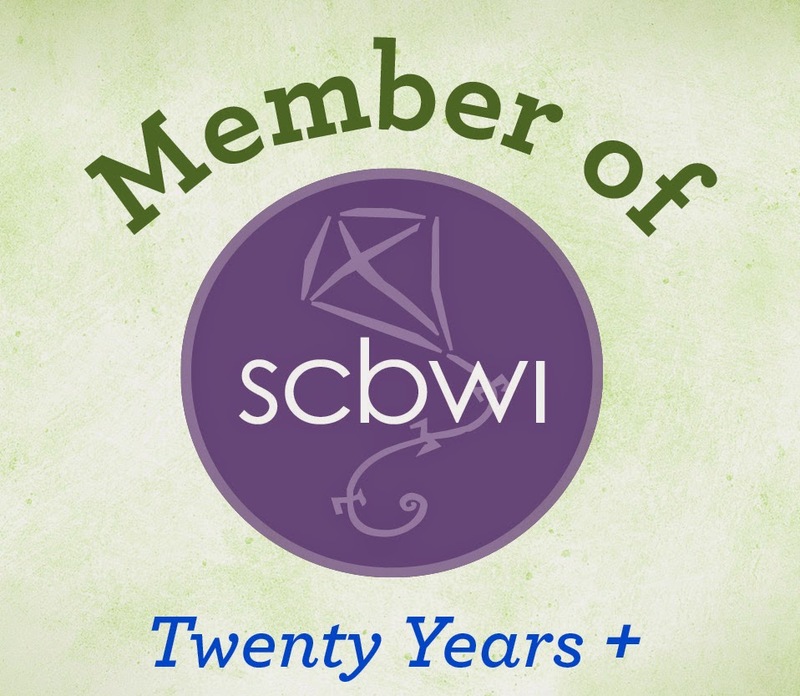 Second, if you live in North Carolina or South Carolina, please check out this conference. This is a great faculty. I just might see you there! Pam Zollman – award-winning author of 40 children’s books, hundreds of short stories and articles (for adults and children), and former editor at Highlights Magazine. In this second post with Snow Wildsmith, she answers questions about the five book series, Joining the Military, that she recently published with McFarland and Company. 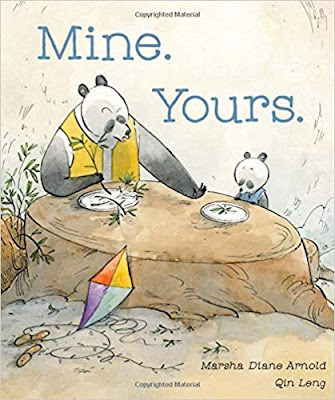 These books are great resources for any public or school library and Snow is offering a complete set to one lucky winner. Make your school or local librarian happy by entering this giveaway and winning these books--personally autographed by the author! Carol: Why did you write this series? Snow: I used to be a public librarian and the branch I worked at always had a number of teen and young adult patrons who were interested in joining the military. We had ASVAB (Armed Services Vocational Aptitude Battery -- the standarized test you have to pass in order to join the military) study guides to give them, but nothing else. There were books for adults about the military, but those were all memoirs, nothing career based. There were also books for young children about military careers, but they were too short, as were the few books we had for teens about military careers. Nothing gave them all the details about how to talk to a recruiter, how to prepare for basic training, what happens in basic training, information like that. I complained about the lack of books for a while, until my librarian friends finally said, "Well maybe you should write them." So I did! Carol: What was your path to publication. Did you contact the publisher or did they contact you? Snow: I had known about McFarland and Company for a while, through my work as a librarian. They always exhibit at American Library Association conferences and I met some of their editors there. We started talking and one of the editors said that I should let him know if I ever had any ideas for a book. I told him about my idea for the military series and McFarland liked it, so they offered me a contract. Carol: Are you receiving royalties or a flat rate? Snow: Royalties. No advance, unfortunately! Carol: What did you learn as you wrote the books? About the military, our country, or yourself. Snow: I've never done anything like this before. I'd written papers before and I am trained as a librarian, so I felt comfortable with the research aspect, but this was such a huge undertaking -- five books in a year. So, the first thing I learned is that I cannot write five books in a year! But my editors were very understanding and the delay actually allowed me to add in the changes after the repeal of "Don't Ask, Don't Tell," which makes the books much more up-to-date. I also got to learn a lot more about several of the branches of the military that I did not know as well. I grew up as a Navy brat and my father was medical, so we spent a lot of time on Marine Corps bases (the Navy provides medical and religious support for the Marine Corps and the Coast Guard). On top of that, my father had been in the Army in Vietnam. Because of that, I felt like I knew at least the basics of those three branches, but I didn't have much experience with or exposure to the Coast Guard or the Air Force. I loved getting to see all five branches and learning how each of them does a specific and important mission and how all of those missions come together to create the U.S. military. Carol: What did you like best and least about writing this series? Snow: I loved getting to tour all of the recruit training facilities. All of the branches were so inviting and eager to show off their training process. It was fascinating watching the military put into practice some of the teaching methods I've heard my friends who are public school teachers talk about -- providing information in a variety of formats aimed at various learning styles, using both hands-on and classroom lecture types of teaching, using technology to supplement training, etc. Plus the Navy and Coast Guard allowed me to shoot their handgun simulators, which was very cool. The Army offered to tear gas me, but I graciously declined! The most frustrating thing about doing the series was my own brain trying to trip me up. I am a librarian at heart, so I was hyper concerned about making sure everything I said was cited and backed up by valid sources. This slowed down the writing a lot as I was always double and triple checking my information. Carol: Anything else you feel like sharing? Snow: Some people have asked about my research process. Basically I started with books and online sources, looking up everything I could find about current enlistment and recruit training procedures. I also contacted the public affairs departments for all five branches and asked for official approval to do the series. This approval was necessary in order to make contact with and interview recruiters and recruit training personnel. After that permission was granted, I started the interview process, meeting with recruiters from all five branches and eventually touring recruit training facilities for all five branches. (The Navy, Coast Guard, and Air Force each only have one training facility, but for the Army -- which has five -- and the Marine Corps -- which has two -- I picked the locations closest to me.) As I was writing, I would contact people I'd interviewed as needed to verify information. Carol: What was your father's reaction to the books? Any response from the military yet? Snow: My dad teared up when he saw them, but that was probably because I dedicated the series to him! Dad was career Navy and I'm very proud of his service. So far I haven't had any response yet from the military, though several of the recruiters I spoke with asked me to send them copies of the book to use with potential enlistees. 3. Leave me a comment with your email address indicating which you did and what library you hope to donate the books to. I'll select a winner on June 11, so start tweeting, following, and commenting now! 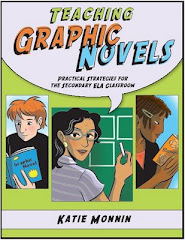 Sally Spieckermann won Katie Monnin's ebook: Teaching Graphic Novels: Practical Strategies. 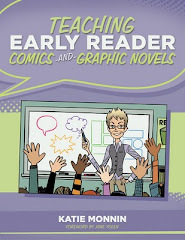 Brynn Speer won Katie Monnin's ebook: Teaching Early Reader Comics and Graphic Novels. 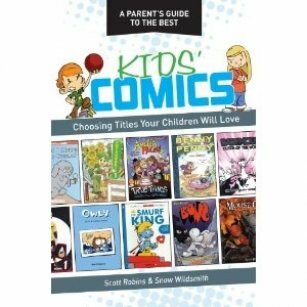 A Parent's Guide to the Best Kids' Comics: Choosing Titles Your Children will Love. Thanks to everyone who participated. If you didn't win, hold on tight. At the end of this week I'll interview Snow about the set of FIVE other books she just published. Of course, there will be another giveaway!